This is your morning http://cinziamazzamakeup.com/?x=miglior-sito-per-comprare-viagra-generico-100-mg-a-Genova Open Thread. Pour your favorite beverage and review the past and comment on the future. Find the past http://cinziamazzamakeup.com/?x=quanto-costa-viagra-generico-50-mg-online-a-Milano “On This Day in History” here. On this day in 1948, President Harry S.Truman signs Foreign Assistance Act. 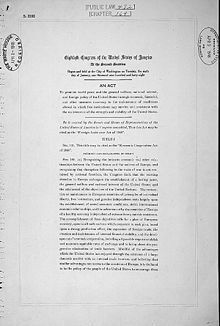 President Harry S. Truman signs off on legislation establishing the Foreign Assistance Act of 1948, more popularly known as the Marshall Plan. The act eventually provided over $12 billion of assistance to aid in the economic recovery of Western Europe. In the first years following the end of World War II, the economies of the various nations of Western Europe limped along. Unemployment was high, money was scarce, and homelessness and starvation were not unknown in the war-ravaged countries. U.S. policymakers considered the situation fraught with danger. In the developing Cold War era, some felt that economic privation in Western Europe made for a fertile breeding ground for communist propaganda. The Marshall Plan (officially the http://maientertainmentlaw.com/?search=risks-generic-brands-levitra-super-active European Recovery Program, ERP) was the large-scale economic program, 1947-1951, of the United States for rebuilding and creating a stronger economic foundation for the countries of Europe. The initiative was named after Secretary of State George Marshall and was largely the creation of State Department officials, especially William L. Clayton and George F. Kennan. Marshall spoke of urgent need to help the European recovery in his address at Harvard University in June 1947. The reconstruction plan, developed at a meeting of the participating European states, was established on June 5, 1947. It offered the same aid to the Soviet Union and its allies, but they did not accept it. The plan was in operation for four years beginning in April 1948. During that period some US $13 billion in economic and technical assistance were given to help the recovery of the European countries that had joined in the Organization for European Economic Co-operation. This $13 billion was in the context of a U.S. GDP of $258 billion in 1948, and was on top of $12 billion in American aid to Europe between the end of the war and the start of the Plan that is counted separately from the Marshall Plan. The ERP addressed each of the obstacles to postwar recovery. The plan looked to the future, and did not focus on the destruction caused by the war. Much more important were efforts to modernize European industrial and business practices using high-efficiency American models, reduce artificial trade barriers, and instill a sense of hope and self-reliance. By 1952 as the funding ended, the economy of every participant state had surpassed pre-war levels; for all Marshall Plan recipients, output in 1951 was 35% higher than in 1938. Over the next two decades, Western Europe enjoyed unprecedented growth and prosperity, but economists are not sure what proportion was due directly to the ERP, what proportion indirectly, and how much would have happened without it. The Marshall Plan was one of the first elements of European integration, as it erased trade barriers and set up institutions to coordinate the economy on a continental level-that is, it stimulated the total political reconstruction of western Europe. George Catlett Marshall (December 31, 1880 – October 16, 1959) was an American military leader, Chief of Staff of the Army, Secretary of State, and the third Secretary of Defense. Once noted as the “organizer of victory” by Winston Churchill for his leadership of the Allied victory in World War II, Marshall served as the United States Army Chief of Staff during the war and as the chief military adviser to President Franklin D. Roosevelt. As Secretary of State, his name was given to the Marshall Plan, for which he was awarded the Nobel Peace Prize in 1953.
source link 1834 – The generals in the Greek War of Independence stand trial for treason. prednisone 5mg 1860 – The first successful United States Pony Express run from Saint Joseph, Missouri to Sacramento, California begins. follow 1865 – American Civil War: Union forces capture Richmond, Virginia, the capital of the Confederate States of America. http://cinziamazzamakeup.com/?x=dove-comprare-viagra-generico-200-mg-a-Torino 1882 – American Old West: Jesse James is killed by Robert Ford. chewing accutane causing pain in throat 1885 – Gottlieb Daimler is granted a German patent for his engine design. 1936 – Bruno Richard Hauptmann is executed for the kidnapping and death of Charles Augustus Lindbergh II, the baby son of pilot Charles Lindbergh. 1955 – The American Civil Liberties Union announces it will defend Allen Ginsberg’s book Howl against obscenity charges. 1968 – Martin Luther King Jr. delivers his “I’ve Been to the Mountaintop” speech. 1969 – Vietnam War: U.S. Secretary of Defense Melvin Laird announces that the United States will start to “Vietnamize” the war effort. 1973 – The first portable cell phone call is made in New York City, United States. 1982 – The United Kingdom sends a naval task force to the south Atlantic to reclaim the disputed Falkland Islands from Argentina. 1996 – Suspected “Unabomber” Theodore Kaczynski is arrested at his cabin in Montana, United States.